National Public Radio reporter Tom Goldman checked in at the track during the spring meet's biggest weekend of horse racing, which the facility was able to conduct with no further injuries. Goldman heard from several at the track, including racing insiders and fans, about their hope the spate of injuries is over. Trainer Bob Baffert attributed the breakdowns to unusually high rainfall at the track this winter. 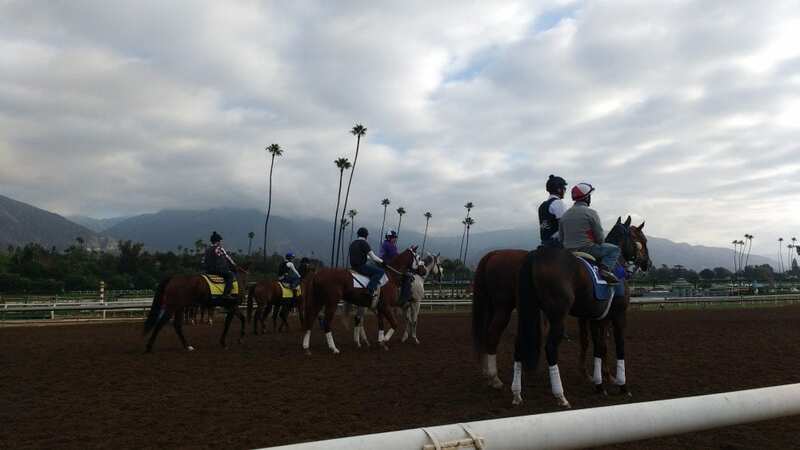 California Horse Racing Board equine medical director Dr. Rick Arthur had a slightly different view, however. Arthur sees a difference in modern racing from the sport several decades ago — it has become more driven than ever by economics. “Frankly, we shouldn't have run on some of the days that we had a bad track,” Arthur said. “And some of the days when the track wasn't as good as it should've been, trainers shouldn't have trained their horses. Arthur sees the track's continuation of racing and training on those days as a focus on the bottom line, which extends to a need for horses to fill races, perhaps resulting in more work for them than is healthy. This entry was posted in NL Article, The Biz and tagged Bob Baffert, dr. rick arthur, national public radio, NPR, santa anita breakdowns, santa anita park by Paulick Report Staff. Bookmark the permalink.